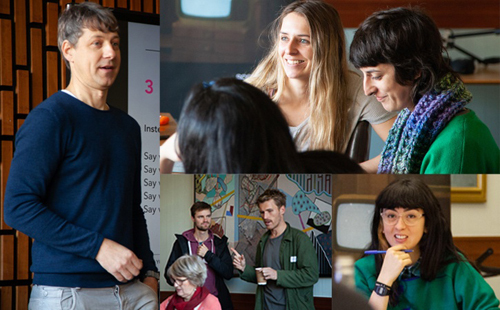 Following a programme of intensive workshops with industry figures such as Thierry Garrel, Daniel Saltzwedel (Dox Consulting) and Mila Turajlic (The Other Side of Everything) and a competitive pitching process, five filmmakers have been commissioned through this year’s Bridging the Gap programme. One of the selected filmmakers, Ross McClean, is from Northern Ireland. Bridging the Gap is supported by Northern Ireland Screen, Creative Scotland and the University of Edinburgh. The remaining filmmakers include Bircan Birol, Hannah Currie, Inma de Reyes and Eoin Wilson from Scotland. One of the leading documentary new talent initiatives in the UK, Bridging the Gap helps selected filmmakers develop their 10-minute documentary by allowing them to work closely with leading international industry professionals and SDI over a nine month period. Each film receives a cash budget of up to £8k each, along with further hands-on training throughout the editing and distribution process. What’s more, the commissioned films receive a world premiere at Edinburgh International Film Festival. Congratulations to Ross and the all the selected filmmakers.